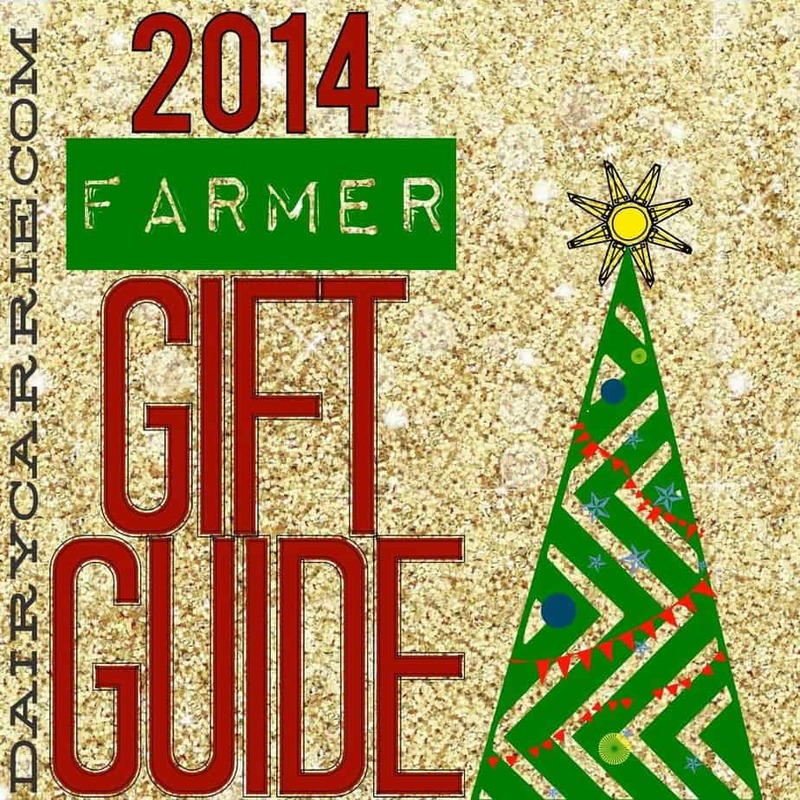 What to buy your favorite farmer this year! Farmers are hard to buy for. The things they need, they buy for themselves. The things they want, have price tags with lots of zeros. The nice sweater you gave two years ago still hangs in the closet with it’s tags, right next to the tie you gave for Father’s day in 1992. 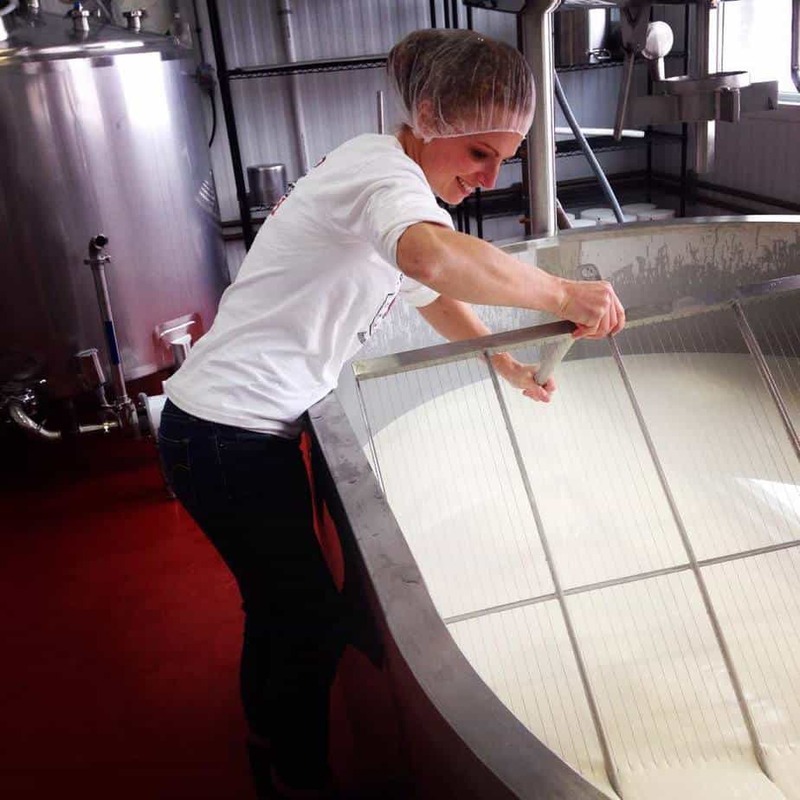 Women farmers may be slightly easier to buy for but that’s probably just a lie we tell ourselves when we buy them a basket with good smelly stuff and candles because what woman doesn’t want good smelly stuff and candles, right? No. I have a drawer full of smelly stuff and candles. While eau d’ barn isn’t always what I am going for, I don’t want to smell like a vanilla berry beach either. Oh and candles? I don’t light candles because that significantly ups the chances of the cobwebs in my house igniting and burning the place down. I know I am not the only farmHER that feels the same way. So with those thoughts in mind, here is my list of things that farmers actually would like to see under the tree at Christmas… or their birthday… or any other time you feel like you would like to give a farmer a gift. Having light to see by when you’re working at night is generally a good thing. However farming tends to use both hands. A good headlamp solves the problem of not enough hands. That being said, not all headlamps are created the same! I recommend a headlamp that has a red light in addition to the standard white light. Not because I think the red light is more festive or anything but because in the summer the bugs aren’t attracted to the red light. This saves your giftee the experience of having their blood sucked out by swarms of mosquitoes and that is a gift that keeps giving. I really like this headlamp from REI because not only does it have a red mode, it’s also rechargeable! No need for a stash of batteries in the barn! To get this headlamp, click HERE. I had never heard of Fab Lab until last week but after learning about it, I’ve decided a Fab Lab membership is pretty much the ultimate gift for a farmer. My friend Nicole toured her local Fab Lab and wrote a post about it. 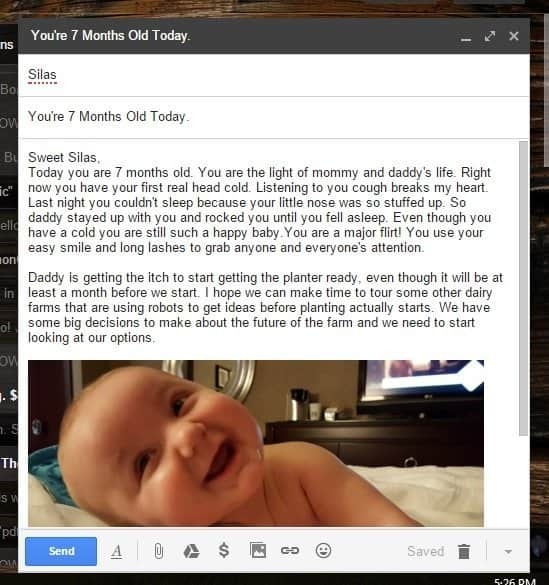 You can read Nicole’s post HERE. The basic premise is that local high schools, tech schools and colleges get grants to buy new technology in exchange for opening their labs to the public. So this gift is kind of like buying your favorite farmer their own fabrication lab worth hundreds of thousands of dollars. Now, from what I have found, not all Fab Labs run the same as the one that Nicole talks about but you should really check out the Fab Lab site and find your local lab. If you didn’t know that cheese would be on this list, you’re obviously new here. This year instead of promoting one cheesemaker’s product, I really want to promote all cheese and my favorite place to get all kinds of delicious cheese is Alp and Dell Cheese Store in Monroe, Wisconsin. Don’t worry, you don’t have to make a special trip to Wisconsin just to get cheese, although that is a great idea, because Alp and Dell will ship your cheese to you or to the giftee. Shop the Alp and Dell site HERE. And in case you’re wondering why Alp and Dell is my favorite cheese store, I’d like you to meet Tony Zgraggen, my very favorite cheese monger. If you need some suggestions on cheeses to try, check out this list of some of my favorites! While it’s always good to clean up slightly before driving to town for parts, sometimes you just need to hop in your truck and run to the neighbors without a wardrobe change. Or, if you’re like us, at the end of the day on the farm you have to drive a couple miles home. This is where the seat saver comes in! It doesn’t matter if you’re covered in cow poop, grease or general filth, you probably don’t want it on the seats of your pickup. Even though I usually roll around in a Ford Escape that doubles as a closet, vet box, garbage can and occasionally a stock trailer, I know that at some point I may want to sell my vehicle and it’s hard enough to get the smell of dairy out, let alone getting manure that’s been ground into the upholstery out. A good seat saver solves this problem*. I like this one from Duluth Trading Company. 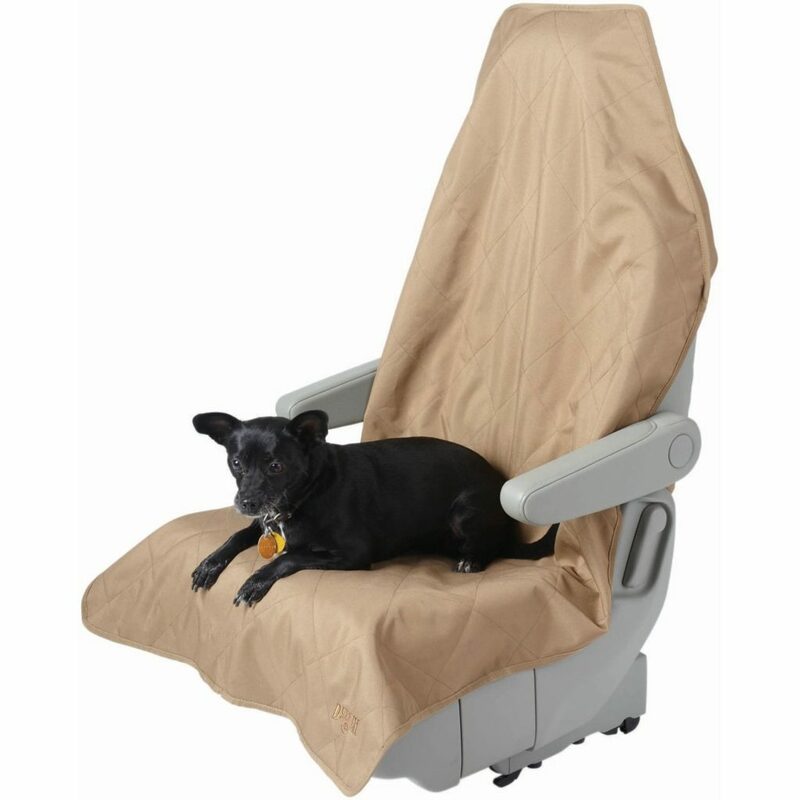 You can see the full selection of their seat saver options HERE. *A seat saver will not solve the problem of manure in the upholstery of your car if you use your vehicle to haul calves. Unless of course the calf is in your lap while you drive and that’s just not recommended. According to Hubs, Simple Green does not clean calf crap out of the back of an SUV. 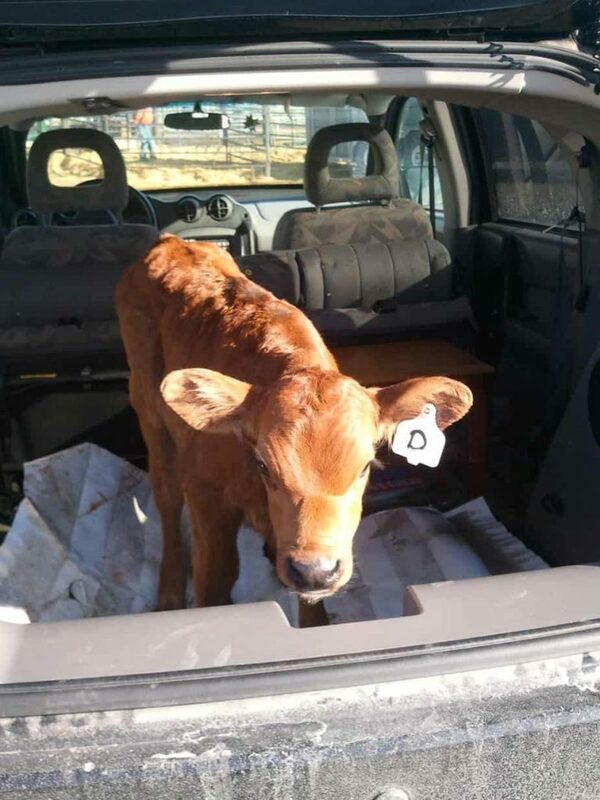 If you’re prone to impulse buying of calves and taking them home in the back of your upholstered vehicle, I suggest you get the bigger seat cover that is sold above. I speak from experience here people. 5. Cow Art and More. 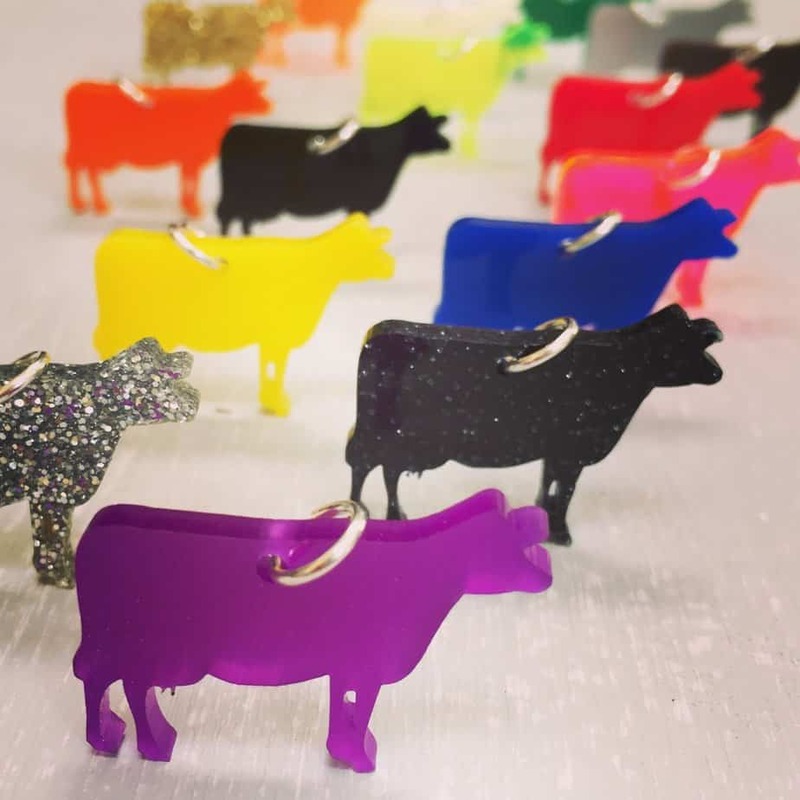 I’ve talked about Cow Art and More here quite a bit, I obviously love their jewelry. However the site is much more than just charm bracelets! They have everything from prints to stained glass to sculpture to cow iPhone cases. There is something here for just about everyone. And just because I can, here’s a little gift for you… Enter dc20 and you’ll receive 20% off any Cow Art and More order over $100! 6. Something good to read. I introduced you all to Dr. Bill Stork a few weeks ago. 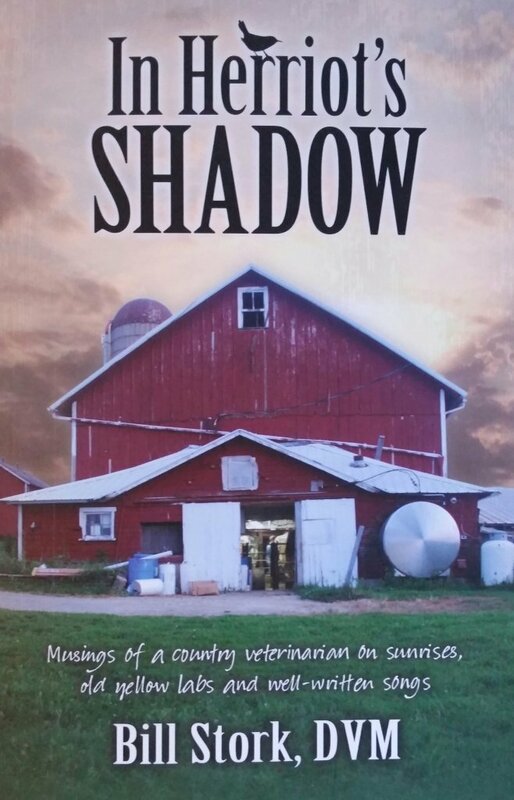 Not only is “Doc” one of the vets we work with on our farm and a friend of ours, he’s now a published author! His book of short stories from his life as a vet student all the way through his 20 plus (and counting!) years of vet practice is full of the stories of people just like the farmer in your life. It’s a wonderful read and you can get a copy HERE. 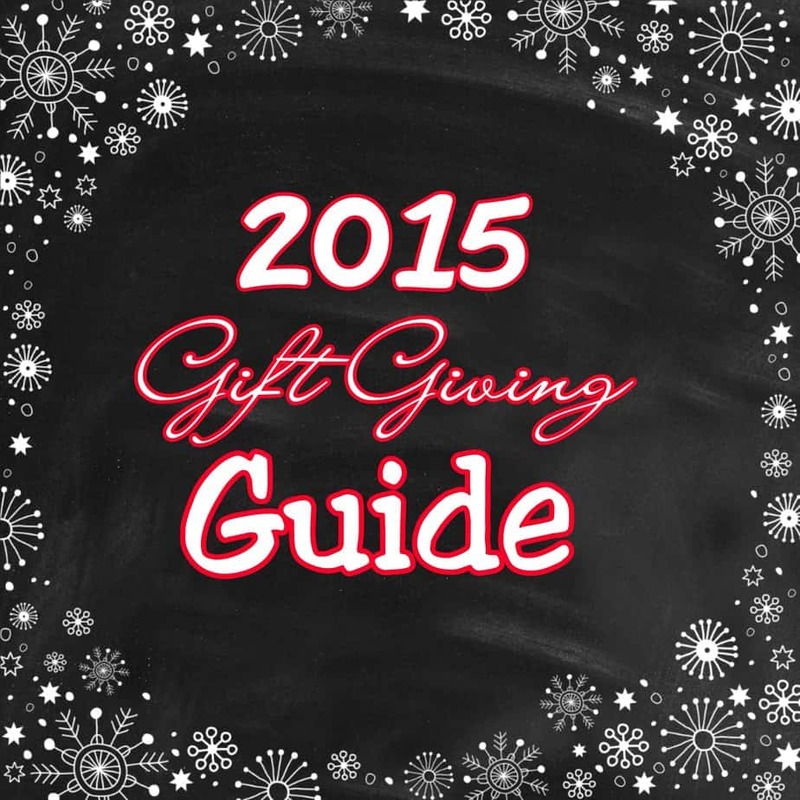 For more gift ideas check out my gift guide from last year HERE. And if all else fails, just remember, you can’t go wrong with a good pair of vise grips under the tree! « Cow Art and More Silver Charm Giveaway! 8 Comments on What do you buy a farmer for Christmas? My 2014 Gift Giving Guide. Really enjoy reading your blogs and strongly support the work you do!!!! I would gladly take colorful MUCK boots. The standard black are hard to sort out of the pile in the porch or entryway. The match and wear issue is compounded when you have been to the neighbors to help sort, vaccinate or otherwise work cows and their is not only your families boots but the boots of 5 other ranchers. I have a pair of pink ones that I keep in the car for going to town, just incase I end up needing them. I applied a rhinestone on the inner top seam so that I could pick them out from other pink MUCK which has been useful more than once. For those of us who farm in Northern climates, I always buy IceBreaker wool shirts. (Icebreaker.com) Not only are they warm, they’re indestructible AND don’t pick up barn smell 🙂 My hubby’s gonna love his head lamp – fantastic idea. I love books, just did a post recommending my fav books for farmers and I included James Herriot’s! I will check out that one – with Herriot in the title, it really caught my eye.